Ponder, Scribble & Scrawl : Indie Authors, need some exposure? All authors like a little exposure, but sometimes (no maybe all the time) us Indie authors need a lot of exposure. 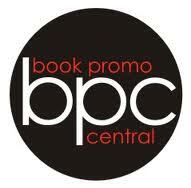 BPC (Book Promo Central) ran by five wonderful ladies ( Loren Kleinman, Barbara Hightower, Rachel Thompson, Barb Drozdowich & Jolene Coleman) want to help Indie authors get that exposure and succeed! These five fantabulous things: Guest post, Interview, Blurb/Excerpt/ Bio Feature, Sidebar Advertising & Free Days Listings - four out of the five is currently free, so hurry and jump on this opportunity! Resources are important to us authors, we can never stop learning and above all never stop improving our writing skills. For some words come fluently and abundantly. For others its a challenge. On Writing by: Stephen King (yes that guy) Available in paperback and hardcover as well. Bird by Bird by:Anna Lamott available on Kindle as well. "The world needs better writers. We need you, the writer, to be good. Really good. Especially at a time when more people have something to say. And with the Internet as a megaphone, sometimes the best voices don’t always get heard." Writer Jeff Goins said that above, isn't it lovely. Jeff is a man of many words that all seem to make a difference, give great advice and makes a lot of sense. Read more about How to Be a Good Writer by Jeff and then click How to Get Your Message Heard without Adding to the Noise . These are two among many great words from this writer. So get your exposure on and get heard! Thanks, A.d., for these great ideas. It's always wonderful when someone takes the time to offer some good suggestions to help others learn about your books. I'll be checking into these soon. Many things have been shared with me, so why shouldn't I share it with others.It would selfish if I didn't. :0) I wish you the best of luck on getting your exposure Jo and thanks for dropping by!